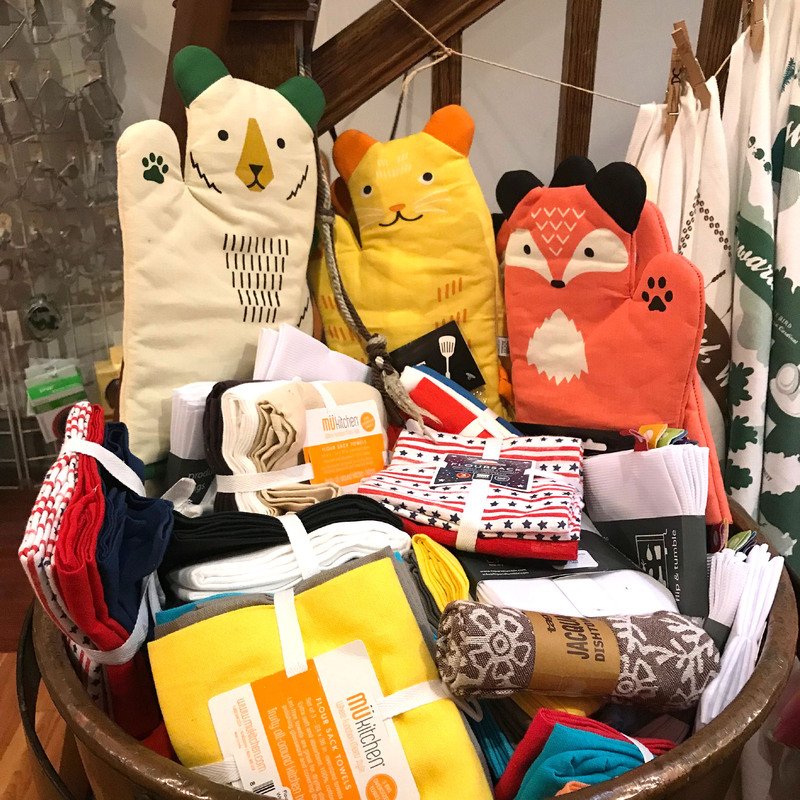 Hill’s Kitchen is a one stop shop for food and bar with Fun bright kitchen accessories like these animal potholders. One of the hot new kitchen items this year are Food Huggers, reusable topss for avocados and lemons. The local shops on Capitol Hill have the most extraordinary collections of holiday gifts. With the addition of a number of new stores, Hill residents will have an easy time finding the perfect gift for all on their list. The Eastern Market Main Street (EMMS) and CHAMPS (The Capitol Hill Association of Merchants and Professionals) are celebrating the season with many hospitality events to make the shopping even more fun. EMMS will kick off the season on November 24th with Small Business Saturday, offering hot chocolate and goodie bags. On December 8th from 10:00 am to 6 pm, neighborhood choirs and regional singing groups will delight us with seasonal favorites. The choirs will leave the corner of 7th and C Streets, SE on the hour. 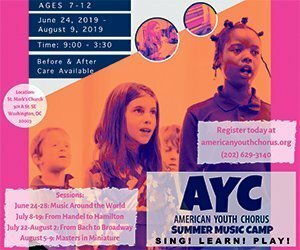 Participants include the Capitol Hill Chorale, the Singing Capitol Chorus, Sidwell and Friends School. Several churches will also participate including Capitol Hill Seventh-day Adventist, St. Marks, St. Peters and the Capitol Hill United Methodist Church. For more information check out www.the hollydays.com. Especially for those of us that enjoy a good meal, whether made at home or eating in one of the many fine Capitol Hill restaurants, food, wine, and good drink are gifts that are truly appreciated. A memorable meal with friends and family stays with us for years, long after we have lost the Christmas scarf and gloves. Hill’s Kitchen, 713 D Street, SE, is the perfect stop for finding gifts for home cooks and bartenders. Owner Leah Daniels knows it all. Really. She and her staff can help you decide which pot, pan, knife, or cooking accessory will work best for you. One of the hot items this year is the instant pot. Not all slow cookers are alike, and Leah can help you find the right one from Cuisinart to Zavor. Hill’s Kitchen also has great small gifts like the new Food Huggers, reusable silicon lids for avocados, lemons, and other small food items. The store carries many DC products, like tea towels, glasses, and napkins. Radichi is an Italian café and store that is bringing cakes, cookies, and pastries from Italy just for the holiday season. Radichi’s at the corner of 7th and C Streets at Eastern Market bring European delicacies to our doorsteps. Bridgit Thibodeau Sasso, co-owner, says the special Christmas cakes and Italian pastries are the best you can find in Italy. The shop has organic wines, olive oils, and wonderful food gifts. The store can also cater your holiday dinner or party. Nothing makes a meal more special than pairing it with a really great wine. Schneider’s, 300 Massachusetts Avenue, NE, has been helping customers find the perfect gift since 1915. They have many certified wine experts to help you select the right wines to go with your Christmas dinner, or help you stock up on beverages for your New Year’s Eve celebration. Schneider’s also has a variety of wines at different price levels, so they can help you no matter what your budget. DCanter at 545 8th Street, SE is a wine boutique specializing in artisanal wines along with craft beers. 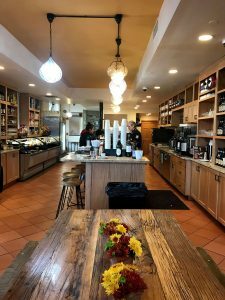 The shop offers a wide variety of services, from a personal sommelier to wine tasting classes and special events. Gift cards are available for the wine lovers on your list. Chats Liquor store at 503 8th Street, SE has you covered. With a strong local persepctive, the store secures many local craft beers and whiskey that is distilled right down the road. Not sure what ingredients are needed for your favorite cocktail? This is a place where staff make you feel right at home and can answer your questions. Don’t forget to check out Eastern Market Pottery at the C Street side of Eastern Market. The studio has been offering classes since 1968 and the teachers and students have a wide array of platters, mugs, and bowls for sale. The studio has 2 kilns, and classes are offered four nights a week. 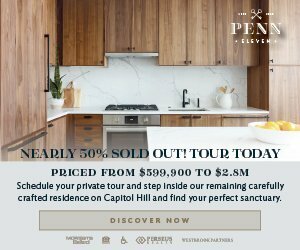 A gift card to one of Capitol Hill’s 5-star restaurants and other favorite eateries is also a treasured gift from millennials to grandparents. Check your favorite restaurant’s website or give them a call to purchase a gift certficate, a nice way to keep gift-giving enjoyment rolling past the holidays. Capitol Hill is extremely lucky to have a number of independent bookstores, as well as shops like Fairy Godmother specializing in children’s books or Hill’s Kitchen with cookbooks. Solid State Books at 600 H Street, NE, is the newest bookstore on the Hill. The store opens at 8 am and stays open until midnight on Fridays and Saturdays. Right now, the store is featuring the Michelle Obama book, hot off the press. The store also carries local art posters, t-shirts and great stocking stuffers. Blocks from the Capitol, Riverby Books, 417 East Capitol Street, SE, offers some one of a kind, signed books for that special someone on your list. For instance, the store has a signed volume of Robert Frost poems, and a complete leather bound set of Shakespeare. The staff also puts together bundles of books for shoppers to choose from based on different themes. And why not grab a vintage Nixon t-shirt for the political buff in your family. 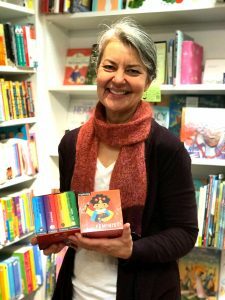 East City Book’s owner, Laurie Gillman, loves the children’s corner where shoppers can find books and toys a plenty. East City Books located at 645 Pennsylvania Ave, SE has a great selection of best sellers and an amazing collection of children’s books and toys, like a mini first aid vet kit. Let’s Eat France is an incredible book that owner, Laurie Gillman wants for herself. The book has great recipes along with food history, and tips on how to prepare the dish. On the other end of the culture spectrum is Snoop Dogg’s cookbook, From Crook to Cook. The bookstore also has wonderful stocking stuffers for all ages. Fairy Godmother, 319 7th Street, SE, is a classic toy store that has fulfilled children’s dreams for 34 years. This season there are autographed books by Sen. Kirsten Gillibrand, Bold & Brave, as well as a number of sports books, and Lego hockey sets. A Lego set of the Hogwarts Express, part of the Harry Potter series, will especially delight many children. This year there are a number of new stores on the Hill that are really going to wow shoppers. Quavaro is a new leather goods shop at Eastern Market. The store has weekend duffle bags, totes, wallets and Passport holders. The store excels at design, quality, and ethical practices. 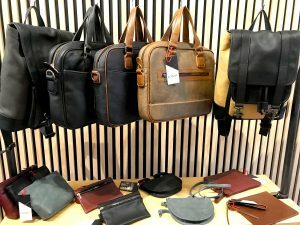 Quavaro, a leather goods store at 323 7th Street, SE, is known for its ethically-made, stylish leather and canvas travel bags made from quality materials at an affordable price. The Falcon is a great duffle bag option. It is a mix of water-resistant waxed canvas and pebbled vintage leather. The bag is being offered at a 10% discount for the holiday season. Paris Bleu is the perfect boutique shop to find elegant hostess gifts, as well as sensational gloves, scarfs, and purses for your special one. The store is located on the second floor of Groovy Cards at 321 7th Street, SE. Want to show your love and make a great impression, let the ladies of Paris Bleu help pick out your gift. Antiochia Home Linens is new on the scene this year, after years of offering Turkish towels at the weekend flea market. The shop will have a buy two get one free offer of its colorful hand towels. It also has a great selection of candles and small finger bowls that are wonderful small gifts for friends and neighbors. The store is located at 760 C Street, SE, across from the new Hines development. 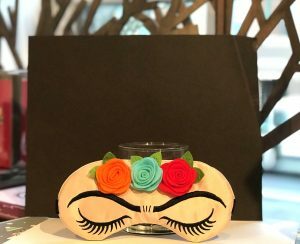 Calling all Frida Kahlo fans, Groovy Cards has a great Eye smoothing mask inspired by the artist, along with other fun masks. You must make a stop in Groovy Cards on your way up to Paris Bleu. The gift wrap and card store has wonderful new gifts, like the fold-up vase that comes flat and expands into a real flower vase, or a group of fun eye smoothing masks. The shop can blow up balloons for your parties. And of course, they have fun gift bags and ribbons. A few doors down from Groovy is Woven History at 311 7th Street, SE where east meets west. The store is more than exquisite rugs. The two-floor shop has a caravan of camels, incenses like Sandalwood, Frankincense, and Myrrh. This season, owner, Mehmet Yalcin, has found stunning glass lamps produced by a Turkish artisan that combine art with function. Soul to Summit is the ultimate ladies running and yoga apparel shop found at 727 8th Street, S.E. Forget those slouchy sweat pants and treat your gal to a fashionable workout outfit with staff ready to help you with expert advise. The shop also has gift boxes that feature candles with naughty and nice scents, and a good selection of hats and gloves. Clothes Encounters at 207 7th Street SE has a wide variety of women’s clothing, offering designer pieces for reasonable prices including some vintage pieces that will make you the favorite gift giver ever. Cyclists on your list? Two shops – City Bikes and The Daily Ride – can help you out. The Daily Ride, now operating in the Apollo Building, 600 H Street, NE, provides bikes and accessories for everyday riding. They sell useful bikes for transportation from Breezer, Gazelle, and many other brands. City Bikes at 719 8th Street SE has bikes of all sizes and prices. It has a wider selection of bikes than any other shop in DC, and has an outstanding mechanic shop that keeps many Hill riders on the road. All I want for Christmas is my first guitar. Music on the Hill can help you pick out the right guitar and even delivers. Music on the Hill is ready to help you surprise your love ones this season. Come in and buy your instrument, and they will deliver to your home all wrapped up on December 16th or 22nd. 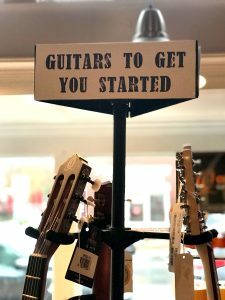 From guitars to the most colorful collection of ukeles around to many other fretted instruments, this shop is making sweet music. Instruments, gift cards for lessons, and fun stocking stuffers are all great ideas awaiting you at the store, 801 D Street, NE. incredible inventory of non-electronic, specialty games, puzzles, and mazes. Need the coolest, hottest, kookiest game of the year, Labyrinth has you covered. Santa will be coming to celebrate the season with your dogs on December 8th and 15th from 1 to 4 pm at the H Street Petco. For a $9.95 donation, you will receive a commemorative digital photo and help animals in need find loving homes. The store is located at 625 H Street, N.E. The chain store has toys, toys, toys for your dogs and cats, along with winter coats, beds, and treats for all your 4-legged friends. 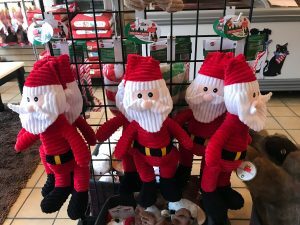 Howl to the Chief has everything you need to put under the tree for your 4 legged friends, including these adorable Santas. Howl to the Chief is at 733 8th Street, SE, and has pretty and yummy cookies, bones, and treats for your pet. The store offers adoption events every weekend from 12 to 3 pm, and is the prime sponsor of the Hill’s annual Howl-0-ween event. The shop also has a wide variety of dog coats that will fit the smallest to biggest dog on the block. Another dog haven, Wagtime II, 900 M Street, SE, in the Navy Yard, knows what dogs like. Besides offering daycare and boarding, the shop has one of the best selections of dog and cat toys around. Unleashed in the Navy Yard at 300 Tingey St SE, a part of the Petco chain, offers and wide array of toys, beds, treats, and more. There are so many options from stopping by your tried and true store to shopping at one of the new merchants. Rather than chance that the postal delivery is going to make it on time, and pay extra for postage, make this holiday season your year to shop local and watch the magic happen. Rindy O’Brien is a long time resident of Capitol Hill. She can be reached at rindyobrien@gmail.com and will be seeing you this holiday season.